Your vehicle is your trusty automotive sidekick. You rely on it to keep you and your loved ones safe while constantly on the move. For that reason, among others, upholding your car's integrity is something that we at SouthShore Nissan take very seriously. 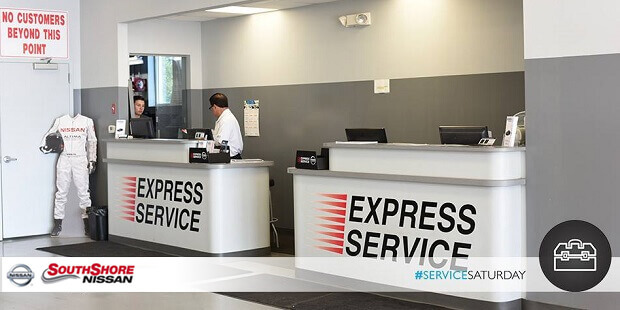 In fact, our Nissan service center in Amityville is staffed with Nissan specialists. Always happy to keep the drivers that we serve in Long Island safely on the road, our team is able to perform routine maintenance and repairs like oil changes and wheel alignments, when necessary. For more information, we invite you to visit SouthShore Nissan in person, or make an appointment online today. Our Nissan Service Center team serving Long Island would be happy to provide you with an oil change in Seaford. Stop in and see us today, and we can get you in for some quick service, or you can contact us and schedule a time to visit. You'll feel the difference driving in a vehicle with regular oil changes, and we hope to be the ones who provide that service to you! To keep your vehicle up to its high standards, you have to take care of it, and ensure it's going to continue to perform for you. One of the simplest ways you can that is by keeping the maintenance and repair on your car regular. Here at SouthShore Nissan, our team can help you through that entire process, and when it comes to oil changes, we have you covered. Keeping your oil changes regular will provide you with a lot of benefits. First, your engine is able to stay clean and fresh with regular changes, and that of course helps it run better. In addition, you'll experience better fuel economy, and a car that is going to last longer. What's not to love? At our tire center here in Seaford, you can find tires for all kinds of vehicles, from new Nissan, or any other car, truck, or SUV. These range from all-season tires, to summer tires, to winter treads that help you in the snowy weather, and all of them are important to giving you a driving experience that is satisfactory, and safe. When you've found the set of tires that fit your vehicle, our service team will be happy to install them for you, and have you on your way. If you'd like to learn more about the availability of tires of many different brands here at SouthShore Nissan, feel free to order tires online or stop into our tire shop and see us. We'd be happy to answer any questions you might have, and set you up with a new pair of tires. Tires are a vital part of your automotive experience. Without them, it should be pretty obvious, you aren't going anywhere. 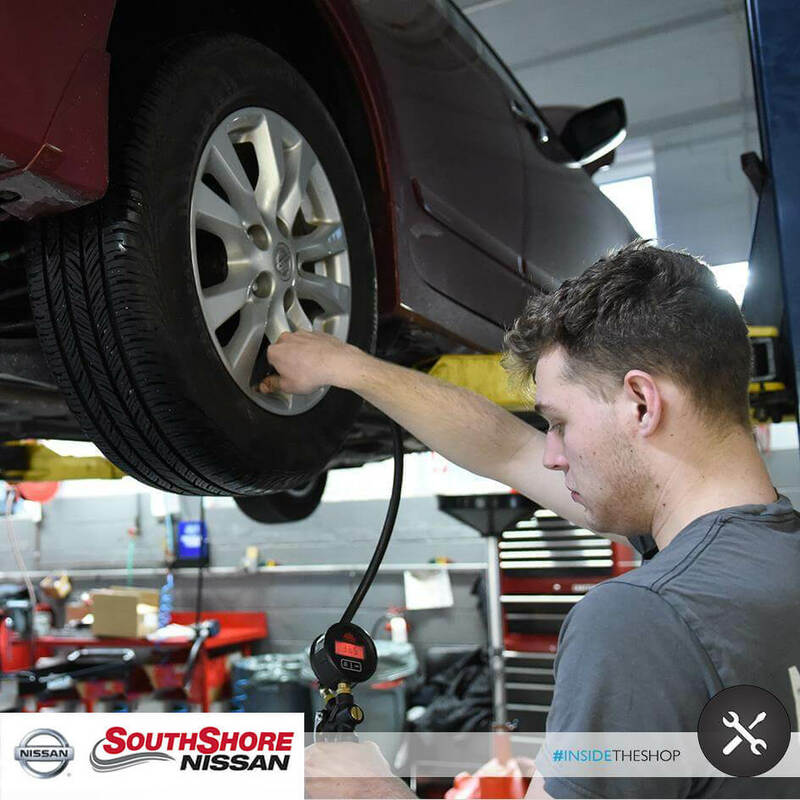 It's why at SouthShore Nissan, our tire center provides those throughout Long Island with a complimentary tire inspection to check the treads and condition of your tire to ensure you maintain a firm grip and command of the road. At our Seaford repair shop serving Long Island, we will do an alignment inspection for free. So, if you think your vehicle needs one, bring it by, and we'll let you know. If that's the case, you can choose from one of our many recommended service packages, and we can get the job done for you. View our Recommended Maintenance page for complete details our give us a call. Our service team is here to provide you with wheel alignments in Amityville, aligning all four wheels for you. It has many benefits, including keeping the steering and handling of your vehicle at the top of its game, which goes a long way, because even a little bit off balance can lead to your vehicle pulling in a different direction. Also, proper wheel care, along with other routine service keeps your fuel economy levels high. We're always offering different service specials on wheel alignments, so be on the lookout for those as well. 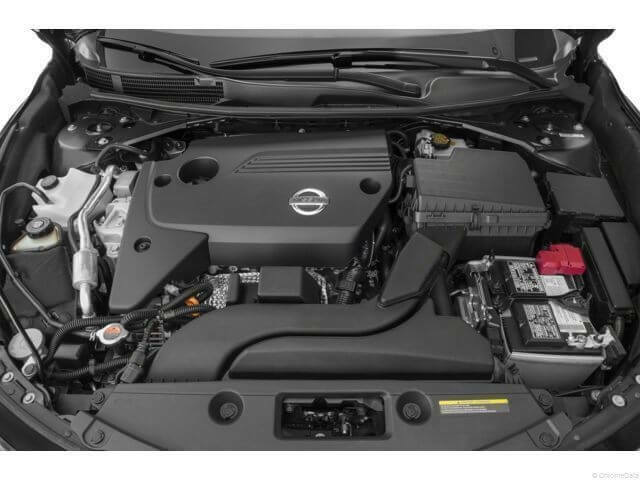 You can learn more or schedule an appointment with us online, or by calling our service department, and we'll make sure you get the proper service you need for your Nissan.